Yes, Sokibi and Rania already write the story about how we starting the conference. It’s true but not complete one. The original one was before I have dinner with Sokibi and Rania. I have lunch with Kukuh and Moko in Soto Betawi Restourant near my house. We’re thinking that in 2017 there’s no FOSS Conference in Indonesia. 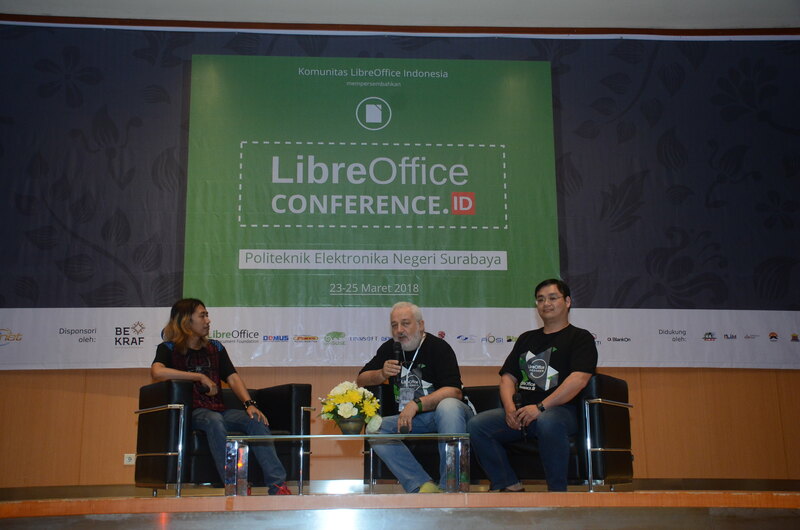 So we decide to organize conference about LibreOffice but small one (we can call it mini conference). But time flows, and we kick out “mini” and become normal conference. Since Franklin Weng becoming board in TDF, he often pursuade me to joining TDF Membership. Well, I’m thinking that I less contribution on LibreOffice and little experience in that (except for personal/daily use). I have lot of experience in OpenOffice, an era before LibreOffice. 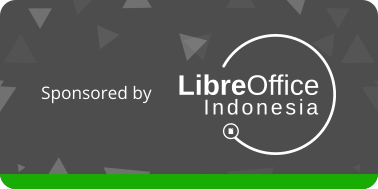 So, with organizing this conference, it’s my starting point to contribute to LibreOffice and of course I apply the membership and TDF will process my submission this month. We start work in December 2017, preparing the proposal and choose which city and university for the venue. We asking two universities and good will comes from PENS (Politeknik Electronika Negeri Surabaya). We start working on Januari 4th, and prepare everything daily. We have 9 members of organizer in first place, but then one member just gone away not active, so I kicked him out. Our member was come from different cities, luckly it’s still in one timezone. So we just have 8 powerfull members. In last week near the event, there’s about 25 students from university that joining us as local community organizer. My main role is as coordinator and fundraiser. It’s easy but not easy. But I have good team members. In the event it’s self I was complicated busy, make sure everything work and run perfectly. But me and others are happy. Honorable mention Rania, Moko, Kukuh, Joko, Darian, Ummul, and Tamara. The last one can’t attend the conference. I arrived at Surabaya on Thursday, one day before workshop. I need to come early to make coordination with local organizer and pickup Franklin and Eric. Both of them are my old friends. This is workshop day. I visited the venue and meet Mr. Ardi. I see the workshop for couple minutes and then at lunch time, I have meeting with Franklin, Eric, Andika, Noor, Darian, Estu and Lecturer/Professor from PENS. In that meeting we have introduce our self and have small discussion. The Director of PENS also open the conference, because on Day#1 he can’t attending it. I stay in Rumah Kertajaya Hostel, same with Franklin, Eric and Italo. 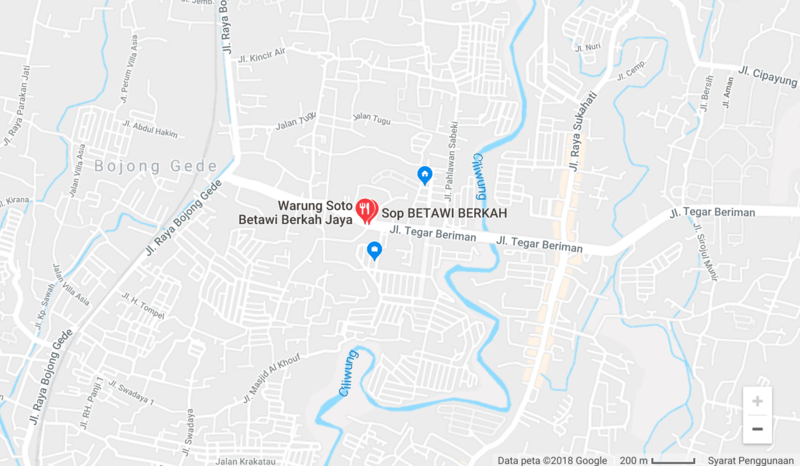 I choose this because Italo already book this place and I need to have better communication and coordination with them. This is my special day. It’s rare to see me use formal shirt, especially batik shirt. I have opening speech as coordinator of organizer. I spent this day to meet other speaker, have small discussion and make sure everything works smoothly. Also must sign many documents related to sponsorship from government. I’m not attending any class this day. Only for Keynote. This day, I use spiderman t-shirt. Hahaha. I wanna make this day little bit more relax. 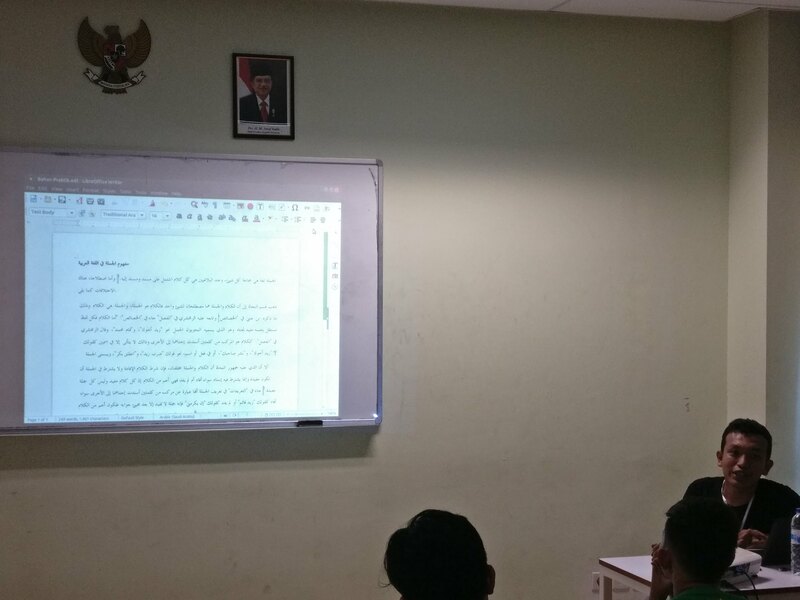 I attend one class, about LibreOffice for Writing Scientific Work in Arabic by Rizki Fauzi. Yes I able to read and type in Arabic. I also becoming moderator for Q&A with TDF before closing ceremony. Becoming moderator is not easy (it’s true) because Italo are person who love to tell his experience and good story teller. I can’t stop him many times. 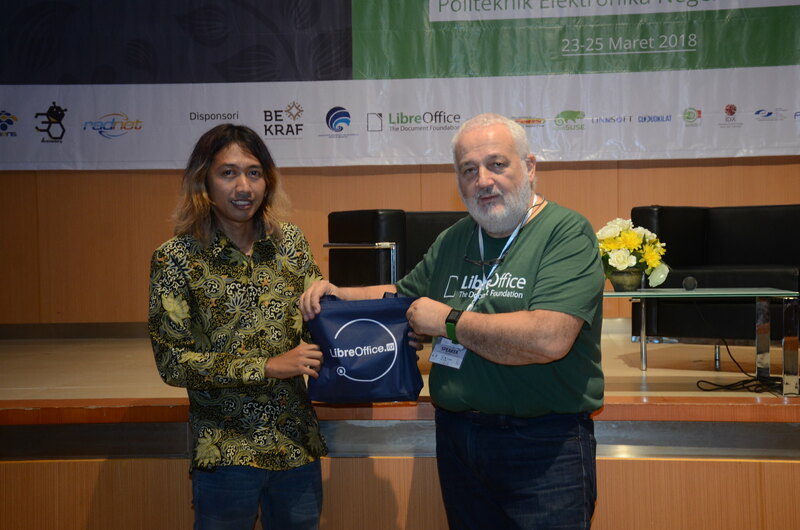 The closing ceremony was cheerful, you can see it on LibreOffice Conference Indonesia 2018 group. Day #3 was city tour day. We have mini bus contain foreigner speaker, few local speaker and local organizer. We going to neighboor city of Surabaya, Mojokerto, which still have ancient Majapahit museum and temple. Me, Italo, Eric and Franklin have discussion session with PENS. It talk about curriculum and implementation in IT world. In afternoon, Italo and Franklin become Guest Lecturer. In evening, I also become Guest Lecturer. 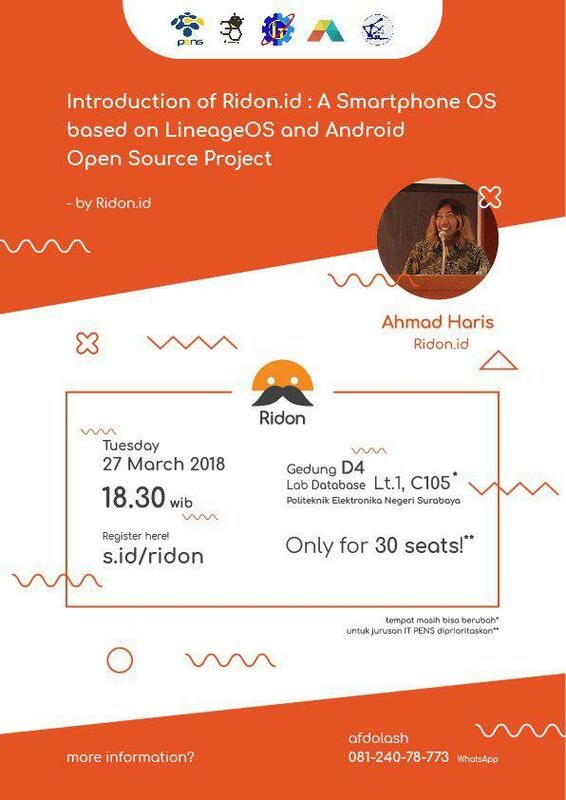 My class talking about Ridon.id. 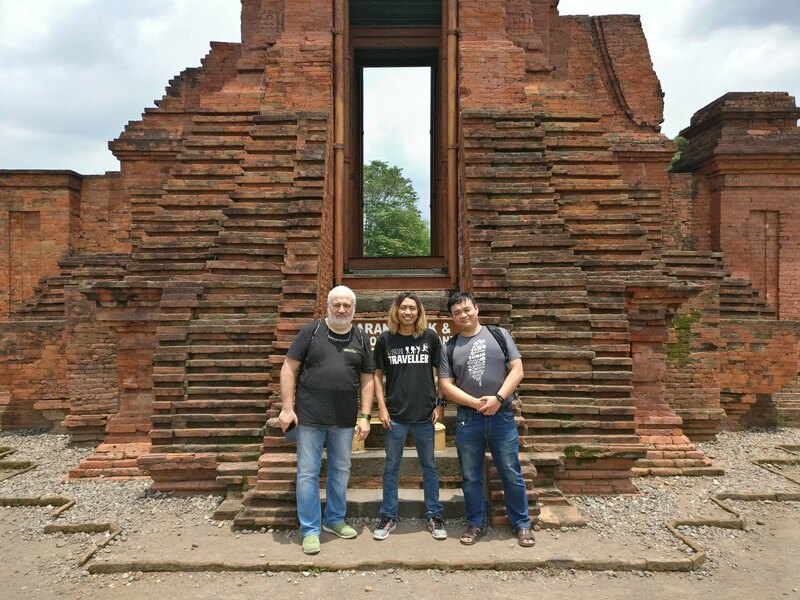 This day Franklin, Eric and Italo departed from Surabaya in the morning. In evening I also departed using night train. 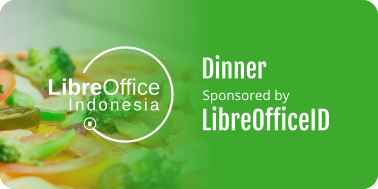 We actually have dinner sponsored by LibreOfficeID since Day #-1. Delicious dinner and have good stories from each other. Take a look at flickr if you want to see the picture.